“Tag” is a label attached for the purpose of identification some information. In our system tags help you to find desired places, employees, tasks or vehicles. You can create tags on your own according to your needs. One object may have several tags. To find all the objects with one tag you need to type it into a search box and the system will display the information immediately. 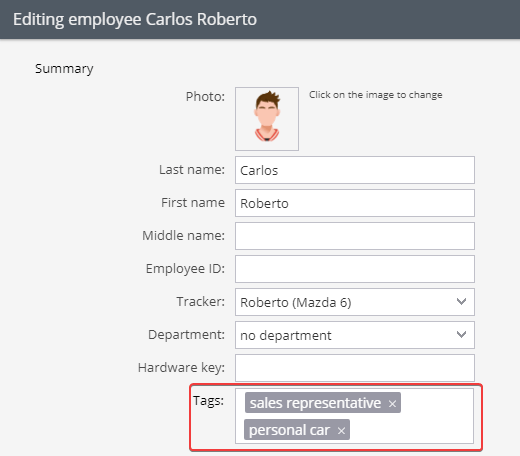 To add a tag you need to enter keywords into a special box during the creating / editing employee personal card. Using tags you can easily find, for example, all the employees with private vehicles.